Prediction 1: Opportunity zones in urban areas will attract the most investment. Prediction 2: Demand for new infrastructure projects will increase, but construction labor woes continue. Good news for contractors: Demand for new infrastructure will likely receive bipartisan support in 2019. If a bill to fund new projects passes, there will be no shortage of new projects breaking ground—U.S. bridges, roads and tunnels across the nation are in dire need of repair. Prediction 3: Office and retail tenants are already pushing for shorter lease terms, and a preference for flexible leasing will spread to other property types in 2019. The rapid growth of WeWork and other coworking providers has made short-term and flexible office leases more widespread. As major corporations follow startups and freelancers and embrace shorter leases, traditional landlords will expand their own flexible offerings to remain competitive. Retailers are also pursuing shorter leases in response to the high rate of store closures, bankruptcies and liquidations. Increased flexibility with brick-and-mortar locations affords retailers increased nimbleness and helps minimize the risk of defaulting on a lengthy lease. Amid higher tenant turnover, many retail landlords are in turn offering shorter-term leases to new and experience-based tenants as a strategy to keep properties occupied. 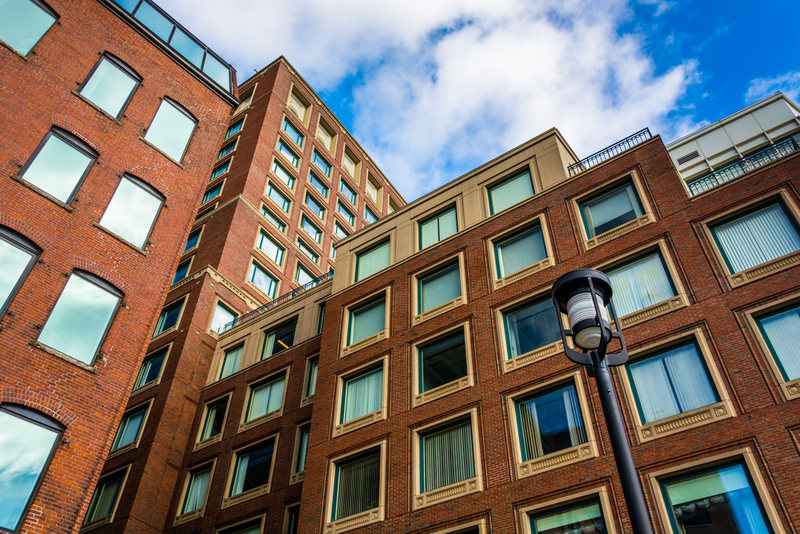 The lease accounting standard, which goes into effect for publicly traded companies in 2019 and other entities in 2020, provides an added incentive for tenants to demand shorter leases. Companies will be required to record lease obligations in their balance sheets. The uncertainty as to how the large liabilities will be viewed by the investment community and lenders is of concern to both landlords and tenants. In 2019, more tenants will seek to restructure their leases or sign new leases with shorter terms. While tenants favor flexibility, the shift introduces uncertainty for landlords. Lenders may be less willing to provide long-term financing for shorter leases on commercial properties, which would complicate budgeting and planning for owners of commercial properties. Prediction 4: Turbulent trade: Trade tensions will accelerate Chinese investors’ retreat from U.S. commercial real estate. Even before the U.S.-China relationship entered rocky waters in 2018, Chinese investment in U.S. real estate was already declining. The heated tariff disputes in 2018 hastened Chinese investors’ divestment from the U.S. real estate market. In mid-2018, China became a net seller of U.S. commercial property for the first time in a decade. While tariff de-escalation could occur in 2019, Chinese investment is unlikely to return to the sector. Prediction 5: A continued supply glut of Manhattan high-end condominiums will lead to distressed asset sales and foreclosures in 2019. Manhattan’s luxury real estate market is in the midst of a three year rough patch. In the third quarter of 2018, sales volume was down by more than 11 percent from the prior year, a Douglas Elliman report found. On average, properties that are sold in this climate go for lower prices. The outlook for luxury real estate is worrisome. The inventory of luxury apartments for sale hit its highest level in seven years in mid-2018. In spite of the oversupply, additional new construction is expected to come online. The market for high-end condominiums has a diminishing set of buyers, as stricter anti-money laundering regulations discourage foreign buyers, and U.S. buyers become more price-conscious. Learn more about Concannon Miller’s services for construction-related companies here or contact Andy Kahn, CPA, MBA, CFP at akahn@concannonmiller.com or 610-433-5501 for a personalized consultation.